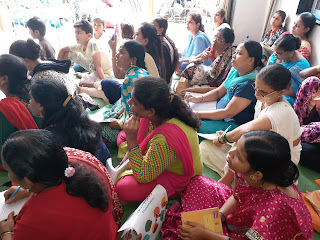 3-Aug-2018, Mumbai: The Don Bosco Development Society (DBDS), Mumbai organized a one day training workshop on ‘production of domestic cleaning products’ for 26 women from Nanabhaiwadi slum in Wadala. 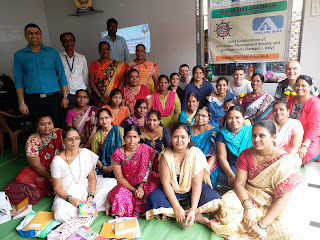 This training programme was held under the aegis of project supported by Auxilium India (Seregno – Italy) in Memory of CARLO TAGLIABUE. 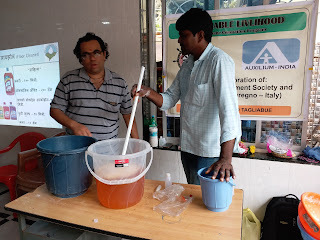 Mr Francesco and other members from Auxilium India were the guest of honour for the occasion. 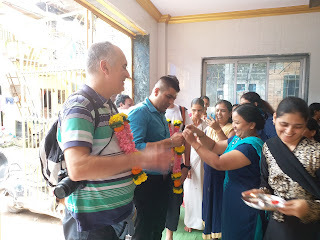 Fr Rolvin D’Mello (Executive director – DBDS) welcomed the guests and shared the special relationship between DBDS and Auxilium India (Seregno – Italy). He thanked Auxilium India for their constant support towards the activities in Mumbai. Fr. George D’Abreo and Mr. Babasaheb Khrat were the resource persons for this workshop. 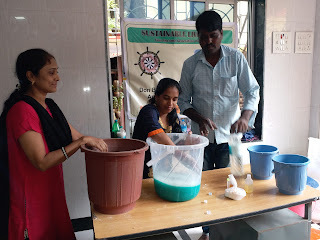 During the training, the participants learnt to make eight different kinds of ‘domestic cleaning products’. These products included Phenyl, Detergent, Hi-tech powder, Hand wash, Dish wash, Floor Cleaner, Toilet Cleaner, Dress Shampoo. Apart from teaching the production process, the resource person also taught marketing, costing, budgeting, pricing and branding of product. The participants dedicatedly learnt the skills and also discussed on starting a small business. Mr Francesco told all the participants that it was a great joy also for them to witness this program and he wished all the women a very bright future. 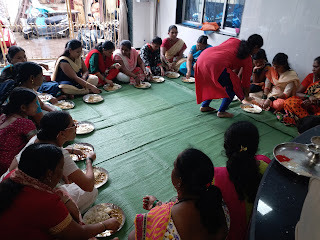 After the program, the Italian guests visited the Ganesh nagar slum where they were warmly welcomed and had a short meeting with SHG women. 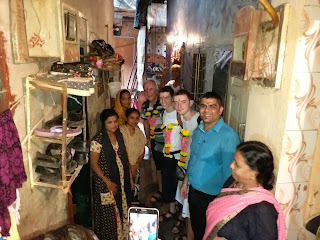 “It was truly phenomenal to see the kind of work done by Don Bosco Fathers (priests) in the slums of Mumbai” said Mr. Francesco at the end of the visit. 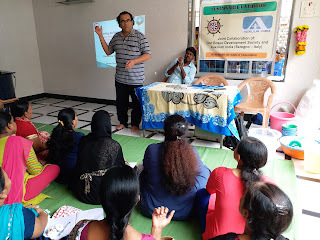 Mr. Sunil (DBDS – Staff) along with the DBDS team mobilized women to attend the training programme. He also proposed the vote of thanks.